Designed especially to pamper, care and nurture you during this special and exciting time in your life. Massage has many benefits to help you adjust physically, as well as emotionally, to the changes that you and your body will go through during this time. Each treatment is tailored to the individual and a detailed consultation will be carried out during your first appointment to create the best treatment just for you. Treatments incorporate different principles including Swedish massage movements, deep tissue (where suitable), Shiatsu energy release techniques, lymphatic drainage, exercises and mobilisation work, all of which help to release tensions, aches and pains and offer comfort and relief with the symptoms associated with being pregnant. In Trimester 3, Polly offers advice and exercises suitable for labour, and where suitable, partners are welcome to the treatments to watch and learn these techniques to assist their partners during labour. Your comfort and safety come first, during the treatment you will lie on your side and/or sit in a semi-reclined position whilst being fully supported with comfy body pillows and bolsters and big soft warm towels for complete support and to make the massage experience as tranquil, relaxing and comfortable as possible. We offer treatments for those whose due date has come and gone. 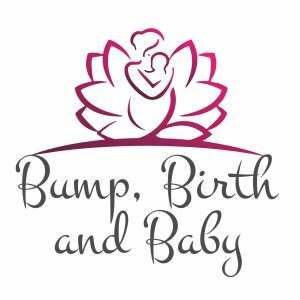 The treatments incorporate a combination of acupressure, massage and reflexology which can encourage your body to bring about a natural start to childbirth. Birth is a wonderful experience and often birth partners want to be involved. A great way is to offer them some simple techniques to help and support you during pregnancy, childbirth and the postnatal period. We offer sessions for couples and pregnant women and their birth partners. Pregnancy massage can be carried out from the first trimester onwards. Please note that it is intended to support and not replace the essential antenatal care provided by your GP, midwife or obstetrician. Treatments are available for 30 | 60 | 90 minutes.